The socialite with a mammoth ‘German Juice’ has been the talk of town of late after his father claimed that he wasted his money and resources educating her only to end up being a family disgrace. 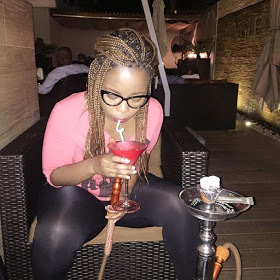 Corazon kwamboka who is lawyer by profession always leaves tongues wagging by the way she ‘enjoys’ life. 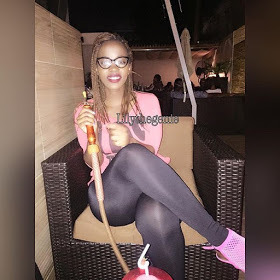 Below are pictures of Corazon kwamboka having a good time during the weekend, I hope her dad won’t see this pictures.